This excited me because it is the bald statement of a truth that so many in New Zealand have backed off for too long. The senior years of school education is critical, that is why the fact that 20% of students never get to go into the senior secondary school – they are already out of the education system by the age of 16 years – demands urgent attention. It is also worrying that during the three years of secondary schooling a further 20% will fail to achieve to a level that will enable them to securely move on to whatever is to follow. So the stark reality faced by those who recognize the value of successful senior schooling is that 20% of students have disengaged from schooling by the age of 16 years and that 25% of those who are left are not likely to complete a coherent set of achievements that provide the foundation of a post-secondary qualification. This is not a reflection of the quality of teachers in New Zealand because the major English-speaking systems all face this same issue. The issue is systemic and structural – twenty years of insisting that universal secondary education means five years of general academic education has shown one thing – that the senior secondary school needs restructuring to allow students to chose a far greater variety of pathways through it. We know from the PISA results that when everything goes well, New Zealand teachers can bring students through to a level of achievement that is as good as anywhere else and better than most. We know also from those results that by age of 16 years the tale of those who are not achieving is long and troubling. The good news is that we can with some certainty say that about 75% of the student cohort which is starting their senior secondary schooling this week will finish with a set of achievements that will take them on to something positive. The APASS Study in the United States is a major study across 50 states of the United States of America into the academic pathways that take students through high school and on to college. First and most importantly, it concludes that a single pathway cannot meet the needs of students in secondary schools who wish to continue on to further study at higher levels. This seems common sense and supports the view that multiple pathways will emerge as the only way in which we can meet the needs of more students. Secondly, the study urges us to develop much closer links between secondary schools and providers of post-secondary education – collaborative partnerships will be crucial. Thirdly, such partnerships must be expressed in action rather than simply being talked about with all levels of the education system working together to plan curricular pathways and organizational structures that allow for flexibility. Fourthly, we need better data about which pathways work with more students, which keep the students in the programme and moving forward smoothly across transition points. Fifthly, attention must be paid not only to those programmes that we conventionally call “academic” but also to those areas we think of as “vocational” or “technical”, i.e. the career and trades training areas. Finally, this will only be achieved through close co-operation and discussions between different sectors. Much of this is self-evident and in some instances already taking place. But it needs to be consistent and focused on results and action. Getting results for the 16-year olds in our system who are moving through into the senior school this week needs to happen quickly if we are not to repeat the patterns of the past – i.e. up to 25% of senior students not getting the opportunity to “seize opportunities” simply because they fail to achieve useful levels of coherent knowledge and skills during the time they spend in the senior school. Sentiments such as those I found in the statement in the newspaper are all very well and good but actions would be much more useful. Who would disagree with the sentiments of the italicized quotation above? Who would not want students to get success from their time spent in the senior school? Who would believe that we can get different results from doing the same thing? Voltaire urged that “if it is not necessary to change, it is necessary not to change.” The facts pertaining to the achievement of students in the senior school in New Zealand surely call for change. The numbers who never make it to the senior school scream for change. I bumped into Hon Dr Lockwood Smith the other day and mentioned to him that I still go back to the policy paper he released in 1993, Education for the 21st Century, a document that despite its worth had not had as much impact as it should have. Perhaps it made the mistake of including targets – New Zealand education has a deep allergy to targets. Perhaps it was the fact that it linked targets to funding – New Zealand education has a belief that funding is an inalienable right. Or perhaps it was that it contained a set of ideas that were a little or a lot ahead of their time. “I go back particularly to one section,” I admitted. “That would be the part about seamless education.” he said without hesitation. The National Qualifications Framework and the new school curriculum were in their early stages of development or implementation and discussion around the country was hot. Startled by the fear of academic contamination the university sector didn’t want any part in it. A noted academic described unit standards as “intellectual finger food”. Oh dear, they were fractious times. “Industry training organisations will be able to develop training programmes both on and off the job to meet their industries’ future needs. This was 1993, 17 years ago and only now do we start to see serious progress starting to emerge in these things. Well, to be fair, ITO’s have got on in implementing this vision for the 21st Century but the rest of the system has been slow to respond. Instead of seamless education we have seen a maze of Berlin Walls erected to repel any advances into our territory or our business at our level. The victims in these battles have been young people shot by educational failure before they had a chance of going over the top. The minefields were laid. Time served became cemented into the system – you can’t do that you are only in Year XYZ. You can’t teach in this sector because you don’t have the correct degree – this sector has to have this degree because learning is so very different at this level. Oh yes, NCEA Level 1, that equals Year 11, NCEA Level 2 that equals Year 12 and so on. Financial penalties were inflicted on students who wished to leave school at the legal leaving age but before the age of 19 years to continue education and training. What was meant to be an exciting new future became a living nightmare for students who for a whole variety of reasons could not find success in such a fractionated system. You see, the notion of a seamless education is about the learner not about the teachers and the administrators and that still remains the key philosophic shift that needs to happen. “What is best for this learner?” has to be a more urgent question than “What can we do?” or “What’s best for us?” Making decisions based on what is in the best interests of a learner leads to good solutions which demand that we work in an integrated fashion, allowing students to move at different paces in different settings. It also means multiple pathways rather than the straight and narrow road of the academic secondary school programme. So… we have to allow students who wish to access career and technical education sooner to do so. In a seamless education system this will mean that students who are coping well and succeeding needn’t spend so long in a school (this in a week when the university continues to cement entrance to the completion of the 13th year!). Those up against blocks should be able to easily move sideways to undertake more appropriate programmes in different places. Seamless only appeared shapeless because people wanted it to fit the existing system. We would all agree that education must provide strong foundations, and a wide range of opportunities thereafter, to meet the diverse needs of all New Zealanders. The education system must be without barriers to participation and life-long learning. Actually, dear reader, the previous paragraph was the final paragraph of the section on THE SEAMLESS EDUCATION SYSTEM: A VISION FOR THE FUTURE published seventeen years ago. We missed a grand opportunity back then. Come back Lockwood, all is forgiven. The current discussion about the presence in a prestigious secondary school (Auckland Grammar School) of an external examination sourced from overseas continues to occupy quite a few column inches in the press but there is no attention paid to solutions – it is simply presented as a problem (but to whom it is not clear) for a variety of reasons (that are not specified) and as a threat (but to what is never identified). At one level it is not an issue. The school is acting within its rights to offer programmes it sees fit and provided they meet the requirements of the New Zealand Curriculum then there are no issues here. The Government exercises its rights to say that all state schools must offer NCEA and the school is, so there is no issue there either. Considerable progress has been made with the development and introduction of NCEA. As an assessment regime it required all of us to change our thinking and that is never easy and not often welcomed. We treasure most the things we are about to lose and often this is accompanied by an irrational attachment to things we have criticised and indeed even sought to have changed. There were compelling arguments that the old New Zealand external examination system no longer served us well in terms of the nation’s need and in terms of the commitment to enabling all young people to find a pathway that met their needs. There were strong arguments that the whole business of scaling and the hierarchy of subjects was a gross distortion of achievement. There were reasonable arguments that the world of employers and the business community deserved better information than they were getting. It was obvious that the external examination system was strangling efforts to develop programmes and approaches that suited a wider group of students. As in all areas of activity, education needed to develop a more sophisticated approach to the more complex demands being made on it. There was also an argument that the needs of the upper band of students pursuing a more purely “academic” pathway headed towards continued “academic” work at a post-secondary level and especially at the university level were being adequately met by the examination system. Out of all that discussion, reform came along. As I have said many times before, the issue is not what reforms do to schools but what schools do to reforms. The 1990s were marked by battle-lines drawn by both sides of the argument that seemed to want to stymie the qualifications reforms in order to maintain a status quo, not just one status quo but the status quo that suited their particular view of the world. NCEA had not just a difficult birth but had to survive a pretty hostile environment throughout childhood as well. But it proved to be tough and it survived and is starting to show its capacity to provide for greater numbers of students than ever was the case with the single path external examination track of old. What didn’t get addressed in all this was a mechanism for relating the external examinations for overseas that a school might wish to use to the qualifications framework. That is the issue. 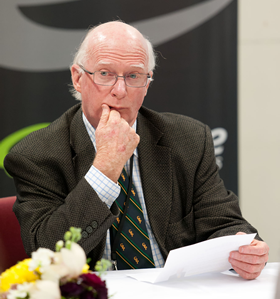 Of course the universities have wished to continue to stand outside the qualifications framework for reasons that are not clear even thought they have shown themselves to have no difficulty with NCEA in terms of selection for university and, indeed, it has come in for some support in its capacity to predict success at that higher level. The wrapping into the qualifications framework of all qualifications was in fact a central principle for the reforms, one which would allow flexibility within the system and allow for the development of pathways that suited different groups within it. That didn’t happen and the framework continues to have to carry this element of incompleteness. It would be easy for a school offering a programme assessed by external examination to also assess that programme within the NCEA regime and offer their students dual qualifications. There is no need for an externally assessed programme to automatically stand outside NCEA. This would demonstrate that the argument for the external examination programme is based on its quality and appropriateness and not on some argument that is simply against NCEA. But that is for the school to decide not for those of us who are outside. There are many ways of meeting the demands of the New Zealand Curriculum and it would be absurd to suggest that a programme based on and headed towards an external examination did not. It would be equally silly to suggest that it was the best path for all students. I do not hear that argument being made and personally reject the suggestion that it is the best path for all boys. It is, let us agree, the best path for a school that wishes to produced scholars developed under that model. It is not even the only way of producing scholars but it is one way. If we are genuinely moving into an era when multiple pathways are required to meet multiple objectives and needs, the role of an external examination for the narrowest band of achieving students in a handful of schools hardly seems to demand our attention. There is plenty of work to be done in seeing that we are providing programmes and assessing them well and appropriately for the other students, the great majority on whom the wealth and success of New Zealand depends. See Thursday’s blog for the first of a series of discussions of critical documents and moments in and some of the influences on the reforms. There is a lot of talk these days about technology and its impact on our lives, the role that it plays in an information economy and, of course, the compelling reasons for its central place in a school and post-school programme. There is also a growing concern that VET is not occupying the central role that it should have in post-secondary education. Amid the mad rush to get more and more students into degree programmes while ignoring the importance of middle level sub-degree qualifications, we might do well to stand back a little and wonder what is happening and whether it really is in our best interests. It is not that long ago, twenty years and a little less, when secondary school industrial arts programmes introduced students to the basic skills of using tools, of understanding materials and of making things. I recall being Principal and one of the many highlights of the year was the display of work undertaken by the students in those programmes. We would be absolutely stunned by the quality of that work, produced by 15 and 16 year olds in the workshops of the school under the guidance of the “technical teachers”. Furniture would have top quality marquetry work, elegant turned features and be quite outstandingly designed. I am not talking about the wobbly coffee table that I once made. This was furniture that reproduced the kind of stuff you can see on The Antiques Roadshow. In the metal area this quality school student work was paralleled by intricate machines and devices. These students were proud and excited by their achievements. Some of them, but certainly not all of them, perhaps found comparable achievement in other areas not yet forthcoming and certainly a few of them were gaining high level results while working in the new language environment of their new country. It was exciting; it was what I thought schools were invented to do. And it led to employment and apprenticeships and trade qualifications. But that all changed and a focus on “Technology” in part led to an emasculation of the secondary schools in terms of its capability to do this kind of work. A new subject squeezed the old out of the way. But have we caused permanent damage to the capability of schools in the name of a passing fad? One commentator, writing of Project Technology, a subject introduced into British schools, related a little story he had heard from the teacher in change of a project on which three schools had collaborated. Meanwhile our countries are developing a shortage of just the sort of people that once made the furniture and the models at school – those who populate the middle ranks of engineering, construction, design, and all those technological occupations that require middle level know-how rather than only degree level know-why, that require middle level qualifications rather than degree level qualifications, that require the practical and the skilled ready to work and get the results. Many of the processes that result in the mismatch between what educational institutions produce and what the community and the economy needs, result from curriculum processes and the relative lack of attention we pay to the downstream effects of them. What is taught in those institutions actually defines the usefulness of them and the role the institutions will play in the community. So we really need to have a clear view of what kinds of educated people and workers we need and then see that curriculum at all levels will result in those desired proportions of skills and knowledge and aspirations and dispositions. Once we have decided what those curriculum spaces should look like, we need to change them only when the reasons for change are compelling and not in response to a passing fashion such as might have happened in the case of industrial arts. That doughty old English warrior, Harold Rosen, knew this when long ago and speaking then of English as a curriculum study he warned that we “….. must not behave as though the contested space [in the curriculum] was solely a matter of persuasion, the sheer force of better ideas….. Spaces do not simply exist in the system, they have to be won, defended and extended.” In short, we need to defend the things that are important. In the area of trades training and preparation for them in schools, this is something that we have not done. ThinkEd: Here we go again! New Year and a new start? Well perhaps not. Taking the opportunity to have a leisurely read of the Sunday papers I was interested to see whether the New Year would bring a fresh perspective on education. A positive one which while celebrating our successes kept its feet on the ground when it came to commentary on the “could do better” areas. It wasn’t a promising start with NCEA and National Standards the key headlines – I think that educational journalists see these topics as a soap opera and even if you have missed a few episodes there is still a good story in them. This time it is the news that Auckland Grammar School will not offer NCEA to Year 11 students this coming year in order to direct them toward the Cambridge Examinations in Years 12 and 13. I suspect that the situation is not as simple as this as there were suggestions that some students might be able to do NCEA and some subjects would follow the NCEA assessment regime. The truth is usually in the middle. I believe strongly in the view that schools should be able to set their own pathways and have long lamented the lack of exploitation of the opportunities to do this within the New Zealand framework of the National Education Guidelines and the New Zealand Curriculum. But there is another matter here – it is that offering NCEA is a legal requirement of the government and it certainly does create an issue if this is not done. It could be that the school “offers” NCEA but counsels and advises strongly against it. It could be that the claimed benefits of external examinations have strong appeal to the parents of this group of students. It could be… You see it won’t be a matter of the letter of the law but rather a higher issue of what is best for young people. The real test will be whether the option of NCEA is actually there and able to be taken up when it is the best option for students. We are told that two other schools might join Grammar in this approach to NCEA. It is a similar issue with National Standards. It is a requirement of the government that they be introduced. But apparently 300 schools are dragging the chain on this one. But the monitoring report is optimistic telling us that “most principals believe information from National Standards will add value to the processes schools use for reporting to families, students and Boards, making informed decisions about how to improve student achievement, and identifying teachers’ professional development needs. While how much value principals believe National Standards will add to each of these processes varies, only a small proportion of principals believe information from National Standards will be very valuable.” This NZCER work reflects promising trends. So the situation is not all that grim. Those of us who have had the chance to see what is happening in other English speaking education systems feel grateful that the NZ government has opted for a reporting orientation in the standards rather than a testing orientation. Communicating with the community of parents and caregivers on matters related to progress is a challenge to all education systems, the New Zealand approach has the potential to develop a confidence among parents and caregivers that the information they are being given will be understandable and helpful. In any major change in education there is a period of uncertainty as we move away from the old way of working (or not working in some instances) to a new way of working. That uncertainty is an important reflection of the process of schools making decisions about what suits them best and what is most appropriate to their communities. Opposition to change is at one end of a spectrum that has willingness to change and optimism about the change at the other. You would have to say that after the first year of a three year implementation, the National Standards are starting to bed in well. The real pity of the reported opposition is its emphasis on opposition rather than professional contribution to developing the standards in ways that reflect the special needs of the communities of New Zealand, the relationship of schools to them and the excellent skills of teacher’s in schools. So, let’s hope that the New Year is not simply a re-hash of the old. There are 2,560 schools in New Zealand and if the unwillingness is reflected by the three secondary schools and the 300 primary schools, then both NCEA and National Standards developments are going very well indeed. One of the interesting items to come out of the recent PIS reports is the fact that over all of the OECD countries the gap between those who come from the advantaged end of your communities and those from the disadvantaged end is in the order of the equivalent of a year’s schooling. Remember, this is the average so the range means that there will be 15 year olds who have lost perhaps several years of schooling in terms of their achievement. New Zealand’s gap between the two groups – the advantaged and the disadvantaged in over 30% greater than the OECD average. The combination of automatic progression through our education system (it used to be called social promotion but it has long been simply the modus operandi for our system, it’s how we do things) and the fact that at 15 years of age student face the NCEA regime of assessment. We can predict with certainty that those who are lagging several years behind the average in terms of schooling will have a high probability of failing. Do we simply commit them to this or do we start to seriously ask if there is a better way? The notion of multiple pathways is one which encourages us to think of different routes through the education system that lead to the same outcomes – qualifications, access to further education and training, employability, a family sustaining income and all the things that flow automatically from success at school and from being up with the mainstream rather than behind it. It is ceratin that we cannot solve the myriad issues that produce socio-economic disadvantage quickly. It is certain that trying to do so is a thirty or forty year time-frame task even with the resources and the will. But, as I keep saying, remember the Gulf of Mexico. Cleaning up the beaches would have been pointless if we were not at the same addressing the issue of the leaking pipeline. It is the same with education. Addressing the issues of the disadvantage that comes from educational failure and disengagement requires both new opportunities for re-engagement and an aggressive approach to stemming the leaking educational pipeline. Multiple pathways is one way of addressing the issue of students who are coming through the education system but at a different pace and with perhaps different sets of skills and different aspirations that those headed for advantage and success. To think that they should continue in the same pipeline but end us somewhere different from where they current end up is very strange thinking indeed. Offering new options, different directions and different ways of working to students who are coming through the pipeline but without success and headed towards an inevitable failure or disengagement is a crucial part of our response to the situation which is confirmed in report after report. Yes, 60% of students are doing well, some of them as well as any others in the world. But 60% will simply not do. If they had been able to stop the flow of only 60% of the oil from that well in the Gulf, the beaches would have been still in pretty bad shape and try telling an oil-drenched Pelican that is was just bad luck that they got caught in the 40%! We surely have to set goals for ourselves and our education systems that give meaning to the discourse of equity and access that is now de rigueur in western developed countries. When the cut is along racial lines with groups that show markedly different patterns of population growth, the 60/40 split will not remain constant and without change can only head in one direction. Let’s celebrate the extraordinary success of the 60% who do well in the education system and who take us so high up the learning power of PISA. Let us also use that to develop a confidence in trying different approaches for those who are not succeeding and seeing multiple approaches rather than the single strait gate. In the hurley-burley of the run down to the end of the year, the 2010 PISA results were released in early December. The press coverage was generally polite and a couple of cheer-leaders emerged one of whom likened the achievement of New Zealand’s 15-year olds to the performance of the All Whites in the World Cup, the Silver Ferns defeat of Australia in the Commonwealth Games and the beat-all-before-them season of the All Blacks. Certainly the performance of our students is commendable and the top students are about as good as it gets in the world. We have long known this and I have drawn attention to it frequently. But while uncritically accepting the results might have a place in the increasingly tabloid press in New Zealand, it behoves educators to take a more balanced stance. Three years ago when the 2007 PIS results came out I also argued in Education Review (21 December 2007, p.16) that a more muted response was appropriate largely then on the grounds that while there was good news for 15 year olds the picture was less a cause for celebration for 19 year olds. First, I must say that the PISA reports are not serving us well in reporting on ethnic groups which are submerged into an analysis based on socio-economic categories. We simply have to accept assurances that the ethnic groups were appropriately represented in the country samples and in New Zealand that would for 15 year olds in schools be something like Pakeha / European 56%, Maori 22%, Pacific Islands 9%, and Asian 9%. The New Zealand Ministry of Education is to be commended for reporting in presentations on the performance of our key ethnic groups. But looking at the socio-economic status analysis of PISA, there is clearly a big wake-up call in the results. The gap between advantaged and disadvantaged groups across the OECD countries is what they describe as “about one year’s worth of education”. New Zealand’s gap between these groups is at least 31% greater. And we know that this gap splits clearly along racial lines. The impact of this is made most clear if for a moment we pretend that our student body is comprised only of Pakeha / New Zealand students. If this were so we would be second only to China in Reading and Science and right up there in the top six for Science. Our ability to get Maori and Pasifika 15 year olds to the same level is nothing like this. Were the student body to be comprised only of Maori and/or Pasifika students we would be firmly in the group of countries ranked at the bottom in the OECD. Given the demographics as they are now and especially taking note of the trends in the relative growth of the different groups, PISA sounds a serious warning. It is a warning that was sounded by Dame Anne Salmond at the Knowledge Conferences of the early part of the last decade, a warning that we are paying a high price for the “dead weight of educational under-achievement”. It seems not to have been heeded and ten years later we get the same warning. There has been some discussion this time around about the entry of China into the PISA study and the point has been fairly made that their education is so dissimilar that comparisons and at best misleading and perhaps even invidious. There is some truth in this but we seem always to move to the defensive default. The study showed for instance that more than 25% of the Shanghai sample cooperate at a high theoretical level in mathematics, “applying insight and understanding” and developing “new approaches and strategies when addressing novel situations.” This compares to 3% who can do this across the OECD. Yes, there are differences between the countries’ education systems, their access to schooling and so on, but we should ask why these results are happening and what are they doing that we are not. We should also note that with Pakeha New Zealand 15 year old students we are giving the Chinese a good run for their money. The study showed that in Canada, Finland, Japan and Korea, all students perform well “regardless of the school they attended.” A report from Britain notes that in the UK, the gap is bigger than in any major country except Brazil while in Denmark, Germany and Switzerland there is virtually no gap while in Japan and Italy the independent / private schools are worse. What is the situation in New Zealand and why? If New Zealand can compete with the entire PISA world for some students then why can it not provide a quality education characterised by high attainment for all? This is a simple question that invites complex answers. It is not good enough for us to simply blame “such social problems as poverty, dysfunctional families and home language traditions” as one commentator did. Education simply has to tackle these issues and back itself to win. It should also recognise that it is a key mechanism in the commitment to ameliorate those very same issues. This was the commitment made many times to the people of New Zealand. Are we delivering?